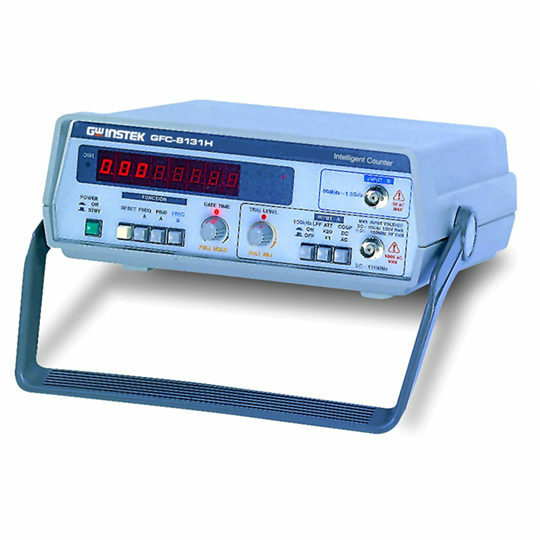 The GFC-8000 Series performs virtually all of the counting measurements required in laboratories, in terms of both period and frequency. A bright red 8 digit LED display with an included overflow indicator provides a clear view. 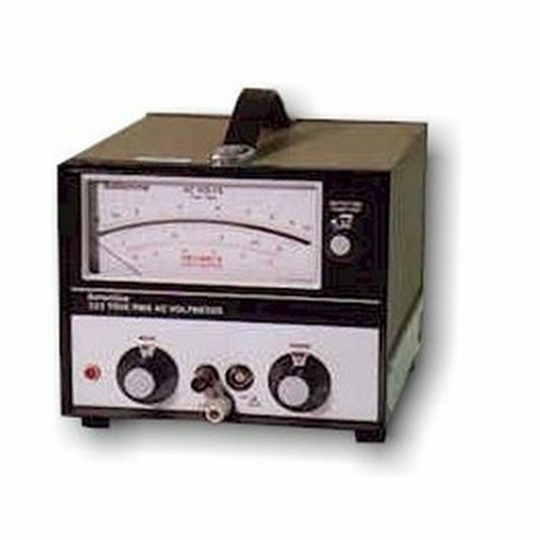 Both models feature a stable time base with a maximum resolution of 100nHz and 10nS at 1Hz for frequency and period measurement, respectively. 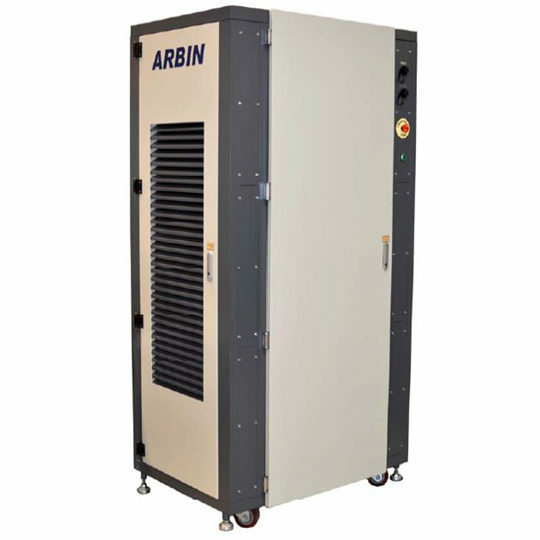 Gate time can be configured for fast response (5 digits/10ms) or accuracy (7 digits/s) for more control. For high frequency needs, the GFC-8270H can operate at up to 2.7GHz. 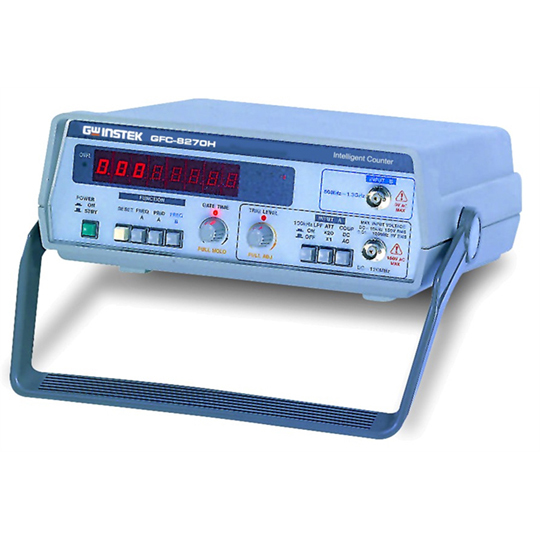 The GFC-8000 Series features easy operation with a simple front panel interface, suitable for both portable and bench-top use.